My grandma passed away recently. She was 97 years old, and a very neat lady with rich life experiences. 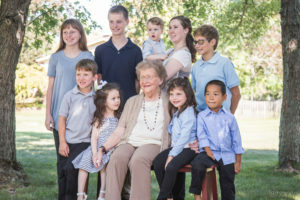 Between her kids, grandkids and great-grandkids (pictured here), she left quite a legacy. Among many good memories I have of my own, I’m most struck by a story told of her faith and generosity. In 1981, my father was close to realizing his dream of starting a veterinary clinic in his hometown. In the early ’80s though, banks simply weren’t lending to those whom they viewed as risky applicants. When my grandma learned of what my father needed to start up, she told him of some shares of stock left to her by a family member. After some inquiry, she learned their present value was just the amount he needed. I’m not making that up. She sold the shares, gave him the money, and the rest is history. 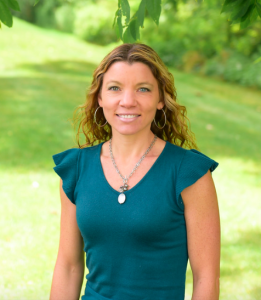 She believed in her son, and with diligence he established the Cuyahoga Falls Veterinary Clinic, Inc. From the beginning, there was a distinct family feel to the Clinic: a compassionate veterinarian and a tight-knit support staff, built on a foundation of family love and trust. Fast forward to the close of 2014 when Dr. Gates retired from practicing. 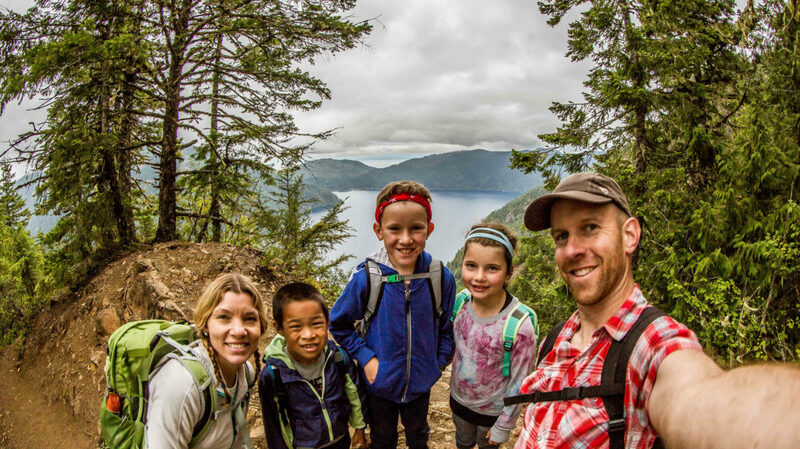 A series of events led us to add Dr. Kendra to the practice, and she assimilated wonderfully into the family environment. It was almost as if she’d become an honorary Gates. Dr. Kendra left the Clinic a number of months ago, though, to take a job with the USDA that included forgiveness for her student loans under which she was buried. She left under very good terms, we all remain friends. We were sad to see her leave, and she was sad to leave, but she made the only decision she could for the best interests of her and her husband. Life certainly isn’t fair. We’re all fortunate that Dr. Jenn, my wife, has been able to step in and pick up the slack. Strong in the areas of internal and preventive medicine, and particularly in ophthalmology, the best possible associate veterinarian in northeast Ohio has been added to our team here. Through all of this, our combination of support staff gelled in such a unique way that would make any business owner very jealous. And the genuine family environment at Cuyahoga Falls Veterinary Clinic continues. A number of items come with the territory of a family practice and environment, and it is important that we mention this here. Dr. Jenn and I place the greatest of importance on time spent with family, both at home and through traveling. We have three children, and we intend to provide them with the home life and parental support they deserve. Until the time comes when a third associate is added, and this is on the agenda, there will be times where Dr. Jenn and I step aside for short periods of time and bring in a relief veterinarian to provide coverage for our clients. There will be some Wednesdays and occasional Saturdays without doctor’s hours. Our support team here (many of whom you know by name and who have become extensions of our own family) can field questions and schedule appointments, as well as relay urgent matters to Dr. Jenn and/or me when necessary. We greatly appreciate your patience and understanding during this time, knowing that time spent recharging will allow us to continue to provide the veterinary care you’ve valued through the years. We also appreciate your trust in and respect for our very good technicians and assistants, knowing that they have your animals’ best interests in mind. Our pledge over the years has been to provide kind, compassionate, comprehensive care, and this has not changed in the slightest. Please do not hesitate to raise any questions that come to mind to either Dr. Jenn or me. 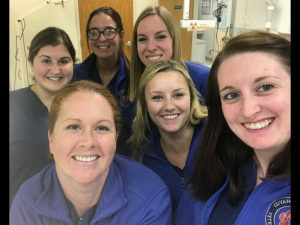 We love veterinary medicine, we enjoy living and working in Cuyahoga Falls, and we want you, our clients, to feel comfortable communicating with us. Like a family. 2018: It's Now "Tick and Flea Control"
Comment on "Open Letter to CVFC Clients – Autumn 2018"
Wonderful story about your grandmother; thanks for sharing. Nothing, nothing, NOTHING is more important than your family. Those kids will be grown and off to college in the blink of an eye. Take the time you need…we’ll manage!